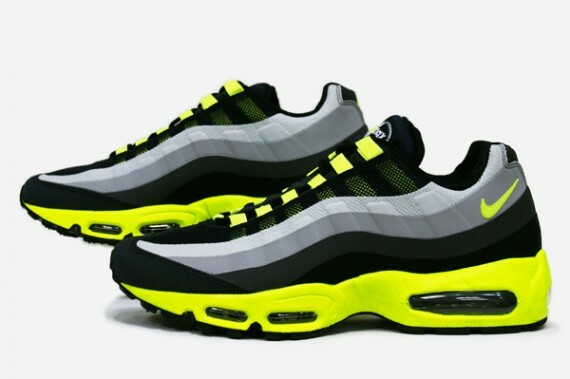 The redesigned "No-Sew" Air Max 95 by Nike Sportswear returns for the fall in a classic "Volt" accented look. One of several redesigns by Nike Sportswear, this particular Air Max 95 features a one-piece "No-Sew" upper. A combination of grey hues handle most of the upper with black filling in the remaining areas, while volt adds some color pop over the Swoosh logos, eyelets and midsole below. Look for these soon at select Nike Sportswear accounts.